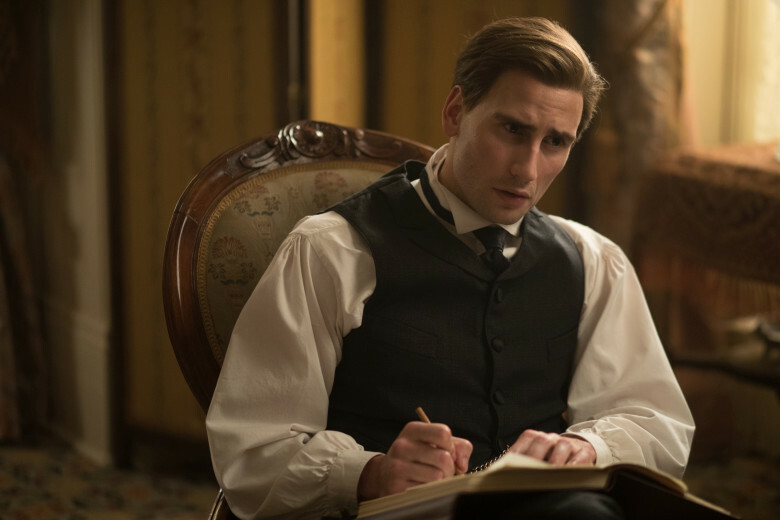 Soon to be a Netflix Original series, Alias Grace takes readers into the life of one of the most notorious women of the nineteenth century. I was equally fascinated because Grace (via Margaret Atwood’s pen) is a wonderful storyteller, capturing our hearts right out of the gate as we hear her tales of her impoverished childhood, how she emigrated with her family to Canada and went into service. Like the ladies and gentlemen who get a thrill being in the same room as Grace the murderer/murderess, it is a vicarious thrill to read her story from the safety of my reading chair. The story is ostensibly about the murder of her employer Thomas Kinnear and Nancy Montgomery, his housekeeper and mistress. Dr. Jordan is the handsome expert on mental illness who tries to get to the truth of the matter by letting Grace, one of the world’s most unreliable narrators—who supposedly has blocked the actual murder from her mind—tell him her story. The real story, as it was with The Handmaid’s Tale, is women’s struggle to have an equal voice in a man’s world. What interested me about the novel was seeing how Atwood she took all the narratives she discovered in her research and wove them together giving us a portrait, not of a lady, and not of a murderess, but of an ordinary woman, the downstairs behind the upstairs, the lowbrow that props up the highbrow. I was especially interested in Grace’s commentary on society, from the value it places on things, to the way women are and have always been treated as commodities, especially women from the ‘lower classes’ fighting for a place in a world completely dominated by men. To illustrate, take a look at a few quotes from the novel. I’ve paired them with images from the Netflix series. 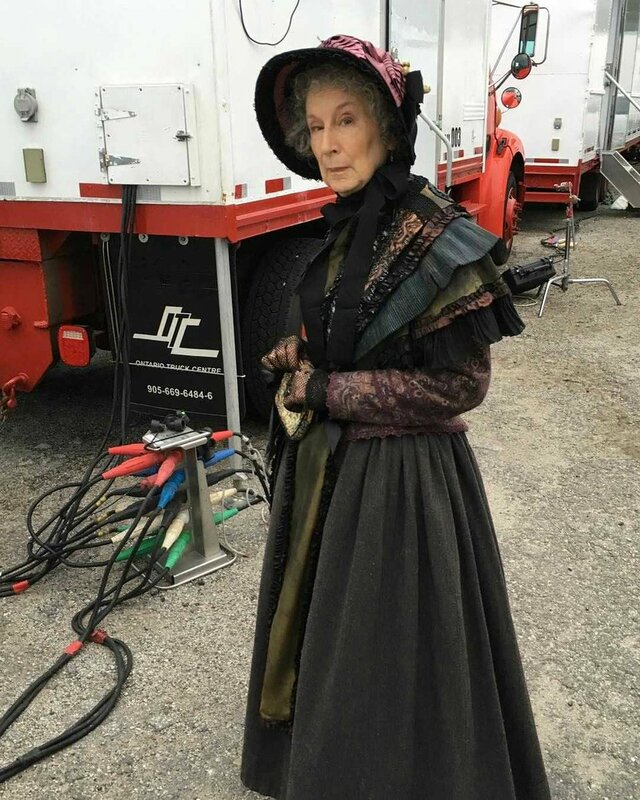 You’ll notice Atwood herself makes an appearance in the film, playing the role of Disapproving Woman. ‘You will forgive me, says Dr. Jordan. Of what did those duties consist? Those are just a few of the ideas Atwood talks about, ideas as relevant today in the era of Harvey Weinstein and Donald Trump as they were in the 1800’s. Which is to say it feels fresh, feminist and timely. I’m excited to watch the series on Netflix, to see what they’ve done with Atwood’s book. I haven’t decided whether to binge and devour or savor it slowly, like a cultured lady. I’ll have to see where my passion takes me. 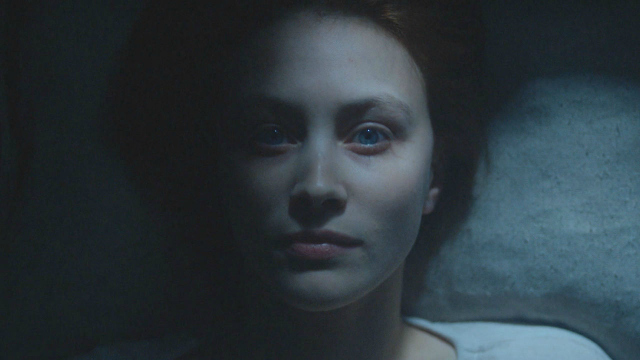 Alias Grace was scripted by Sarah Polley—who has wanted to adapt the book since she first read it at age 17—directed by Mary Herron and stars Sarah Gadon as Grace Marks, Edward Holcroft as Dr. Simon Jordan, Rebecca Liddiard as Grace’s beloved friend Mary Whitney, Anna Pacquin as murder victim, housekeeper Nancy Montgomery and Kerr Logan as Grace’s employer and murder victim James McDermott. Zachary Levi is the peddler who later in life becomes a showman. Have you read the book? Will you be watching the series?